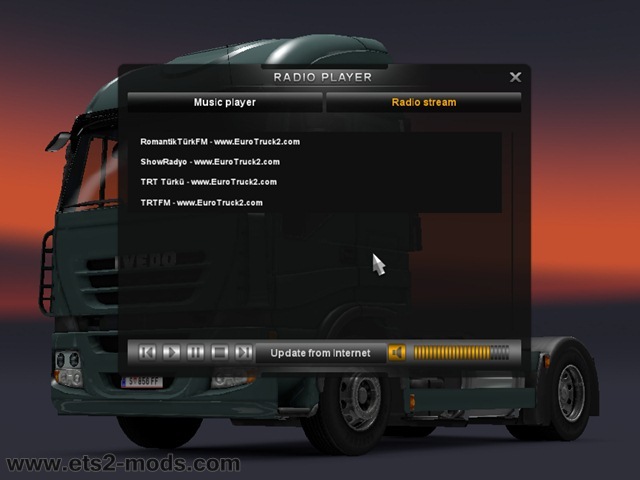 Also check other Euro Truck Simulator 2 Mods. Unzip and add the .scs file to mods folder. 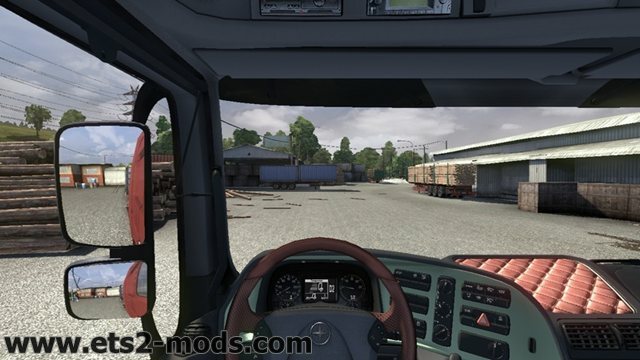 Adds Daf logos to the truck to replace the stupid Dav ones, and also add DAF logo to the interior streering wheel. – It’s forbidden to use this or parts of the package for commercial use. – Trademarks are the property of the respective trademark holders. – Can be uploaded to another site or forum, but please use the original link for download. Hope you like it.Any problems please post, so they can be fixed. 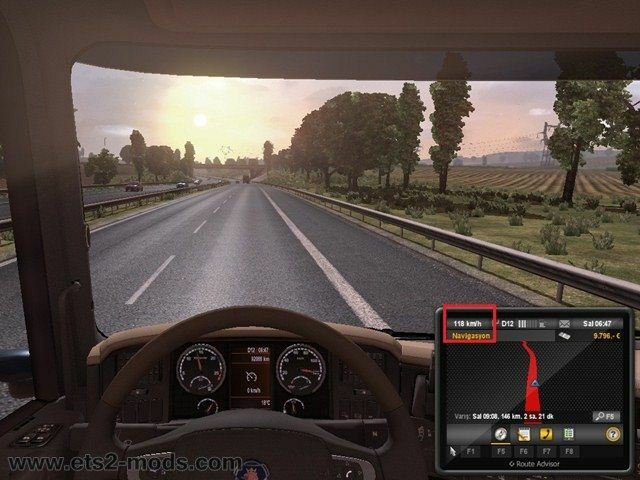 “I am a BETA-tester for ETS2 and have been testing the game extensively before its release. During testing, I noticed that the simulated brakes, suspension and gearbox ratios were unrealistic and sought relay this to the development team. However, my comments were met with mixed responses. Hence I decided to create a mod that would resolve the above-mentioned problems as I was powerless and unsuccessful in pushing for changes to the retail version of the game. 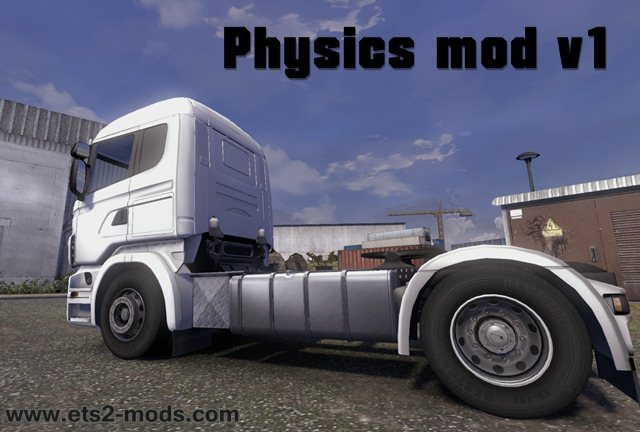 In this mod, I have extensively tweaked the suspension and damping settings which I felt were highly unrealistic. They were extremely stiff, had almost no suspension travel and was excessively over-damped. My mod aims to replicate something closer to real life. I have also reduced the braking power as the default ones are extremely sharp which are unlike that of real trucks. The biggest change I have made is to correct the wrong gear ratios used by the developers. The developers have decided to use Scania’s gear ratios across the board but this was further marred by the fact that the gear ratios used on the Scania were wrong in the first place as they were from the G-series trucks and not the R-series portrayed in the game. As such, I have done extensive research on the individual gearboxes for the trucks and have changed the ratios for both forward and reverse gears, as well as the final drive ratio. It was interesting to note that Volvos and Renaults shared the same I-Shift gearbox, while MAN, Iveco and DAF are all using ZF AS-Tronic gearboxes. Scania used their own Opticruise while Mercedes uses their own Powershift (G281). The mod also removes the 90km/h limiter.